Ahhh Paris: the Eiffel Tower, the Seine, the Louvre museum, Notre Dame, the Sacré Cœur… Yes, of course, but not only! Indeed, the city also finds its beauty in a multitude of different and extraordinary places to visit. The Raspail Montparnasse hotel selected here 5 unusual places in Paris. More confidential, sometimes surprising, these original places will bring you the discovery of a hidden & secret Paris! Let’s go for a secret walk in one of the most unusual places in Paris! We go here to discover the old railway line built in the 19th century. The rails, invaded by greenery, give a very original post apocalyptic vision of the city! Here, you navigate between wild flora, amazing little chalets, or even an abandonned train station turned into a place of artistic expression, especially for Streets artists. Some other sections of the Petite Ceinture have been turned into parisian gardens and walks. Lovers of bucolic stroll, This is a place for you, amateurs of bucolic strolls ! The Astronomy Tower of the Sorbonne, built between 1885 and 1901 during the reconstruction of the Sorbonne, is 39m high. It overlooks the rue Saint-Jacques, and offers a 360 ° view. It was originally an observatory for students, since astronomy was once taught at the Sorbonne University. Few people know that there is this fantastic garden, formerly called the « jardin des plantes de montagnes » (Garden of Mountain Plants), located between the Great Greenhouses and the Botanical Gallery in the heart of the Jardin des Plantes. Classified historical monument since 1993, it offers you an unexpected walk in the heart of the Mountain in the center of Paris. 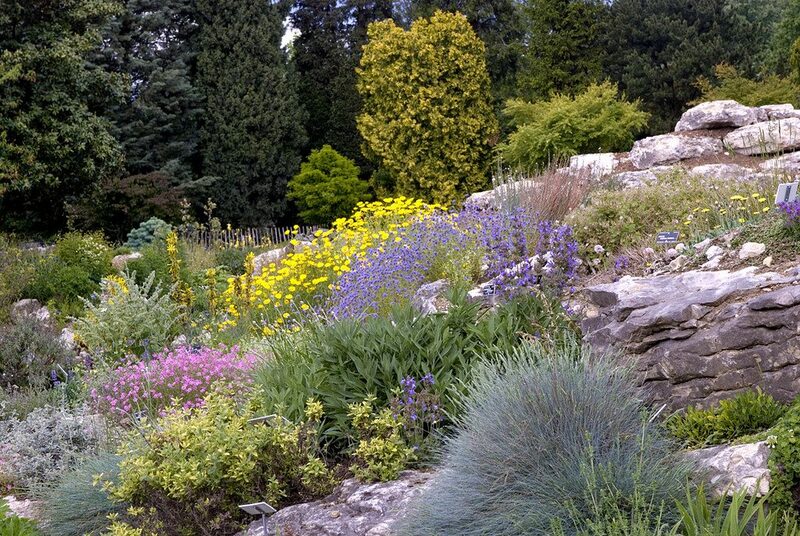 This garden brings together close to 2000 species of mountain plants in a space of 4000 square meters. Escape and discovery guaranteed ! Giant bamboos, small stream, bonzaïs, maples of Japan … The change of scenery is total! Almost unknown monument of Paris, the Expiatory Chapel is located in the 8th arrondissement, close to the Saint-Lazare train station. Full of history, this monument is one of the unique vestiges of the French Revolution and the Terror time. Indeed, it is built on the old cemetery of Madeleine. Revolutionary mass grave during the Terror, there were buried the bodies of King Louis XVI and Queen Marie Antoinette after their execution in 1793. 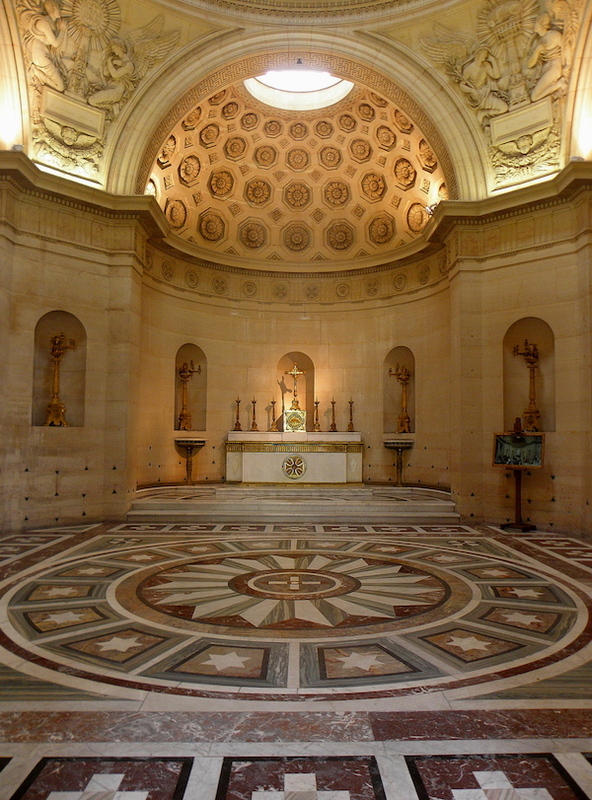 The architecture is also worth seeing, including arches of a rare beauty and an impressive crypt. Did you enjoy these five unusual places in Paris? Do not worry, there is still plenty to come!